Celebrate your wedding at Case Western Reserve University! CWRU offers two beautiful locations to celebrate weddings. Both spaces are unique and offer different opportunities for parties of all sizes. 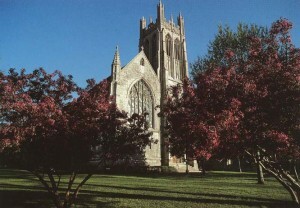 University chapels—Amasa Stone and Harkness—may be reserved for weddings to qualified couples who have a connection to CWRU in accordance with the University’s Facilities Policies (faculty, staff, current students, and alumni, and the sons and daughters or brothers and sisters of faculty, staff, current students, and alumni). 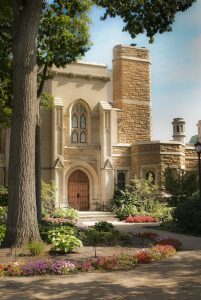 To assure the availability of the chapels for University-related individuals, chapels may only be reserved for actual use by an individual who falls into one of these categories. Chapels may not be reserved by an eligible individual listed above for use by another individual who does not fall into one of these categories. Use of a chapel will be denied if a chapel is reserved for use by an individual who is not eligible because the user does not fall into one of the listed categories.